Favory was born in Paris in 1889. He attended the Académie Julian, where he became acquainted with Metzinger, Lhote, and Marie Laurencin. As was true for many of the Cubists, Cezanne was an early and important influence. Favory painted in a cubist style for the first few years of his career, he began exhibiting works in 1909. By 1913 he had decided to make painting his career, but in 1914 he was mobilized for war, which interrupted his work until he began exhibiting again in 1919. Favory’s experiences and the passing of time had changed his understanding of art. The realities of the war had given him a deeper appreciation of nature and life; he grew dissatisfied with the intellectualism of the Cubist movement. In 1922 he made many excursions to Belgium where he intensively studied the art of Peter Paul Rubens, whose work exerted a tremendous influence. Favory became much more of a colorist, he began painting nudes, large groups of extravagantly voluptuous bathers, and female portraits in a very sensual, lyrical style. 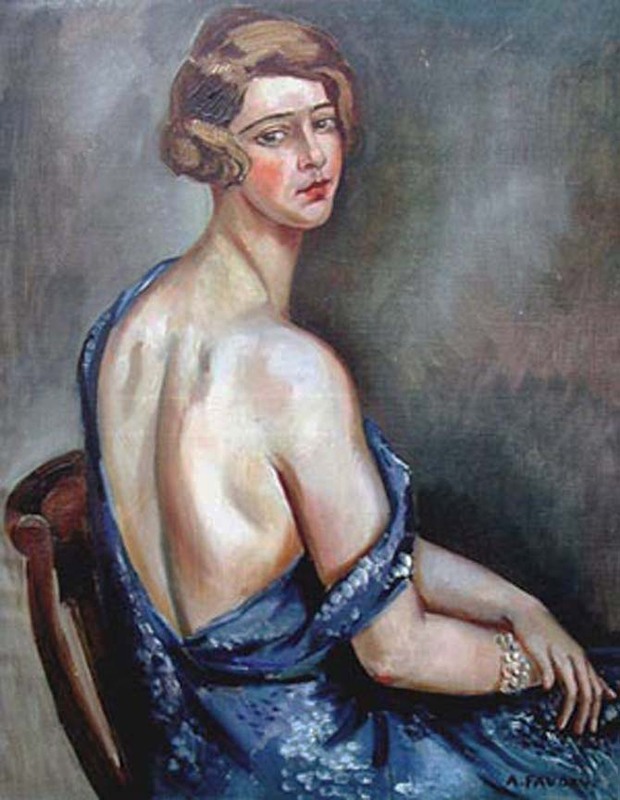 He exhibited regularly at the Paris and Brussels Salons, including the Salon des Tuileries in 1923-1924, Salon d’Automne from1921-1923, the Nouveau Salon in 1921, at the Société Nationale des Beaux-Arts in 1922. In the 1920’s Favory’s works were shown at numerous galleries in Paris and in Brussels, London, Amsterdam, New York, and Tokyo. These included Galerie Druet, Galerie Berthe Weill, Galerie Sélection and Galerie Le Centaur (both in Brussels). The most influential critics such as Louis Vauxcelles very well received Favory’s paintings; he was regarded as an extremely important artist, one of the masters of his generation. Favory contracted a crippling illness, which put an early end to his painting career, he had to stop working five years before his death. He died at the age of 43 in 1932. Favory is represented in many museums in France, including the Musée d’Art Moderne de la Ville de Paris. Favory presented a painting to the Museum of Modern Western Art in Moscow in 1927; the painting is now in the Hermitage.